This summer soiree invitation for Zillow couldn’t be any more enticing. Each guest list attendee received this large gift kit in the mail and wondered what could be inside. Once they opened the box they were greeted with five surprise compartments…the suspense! Each compartment had a perforated door printed with a hint about the contents tucked inside. 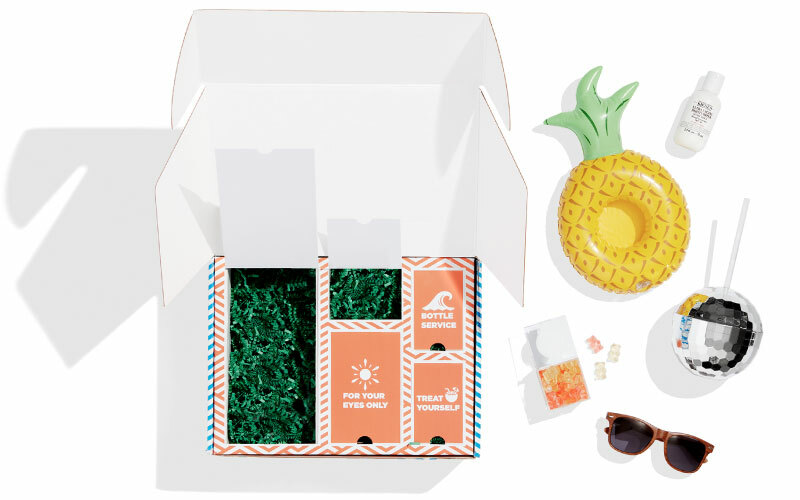 Behind each little door hid five special treats to get everyone excited about the big event: Sunscreen, pineapple drink floaty, champagne gummy bears, sunglasses and last but not least a disco ball drink tumbler to get the party started. The real question is, who WOULDN’T want to attend this event?? I read this article and found it very interesting, thought it might be something for you. The article is called Dazzling Summer Invitation and is located at https://www.canarymarketing.com/events/dazzling-summer-kit/.